My current employer offers RTLs (Ready to Launch) Websites. We offer this to our clients on Capitol Hill who need a user friendly and aesthetically pleasing website fast. Each year we design new RTLs for clients to choose from. Above is an example of one of the most recent templates. Each design needs to have everything our clients need so their constituents can find everything they need on each website. 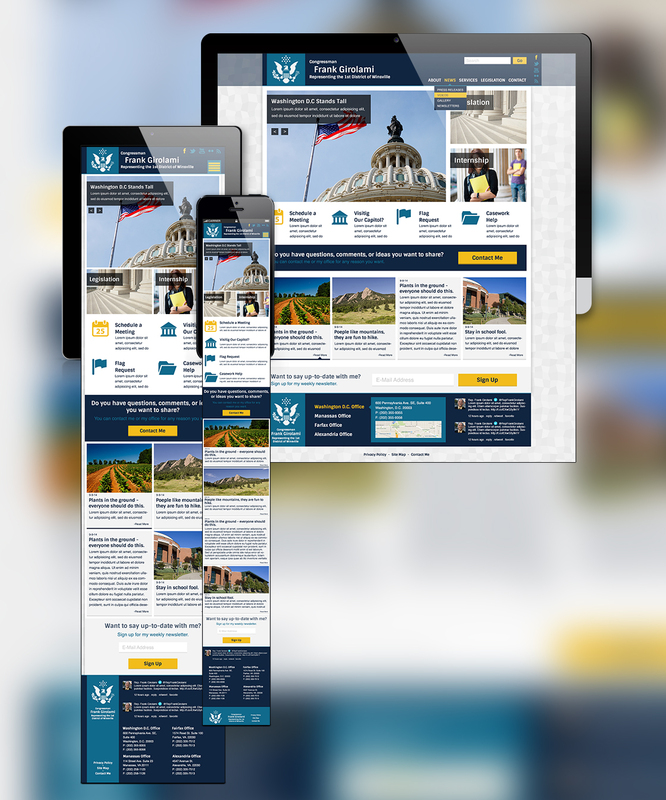 From the overall design to widgets used, each detail is covered to help constituents better connect with their Congressional representative.